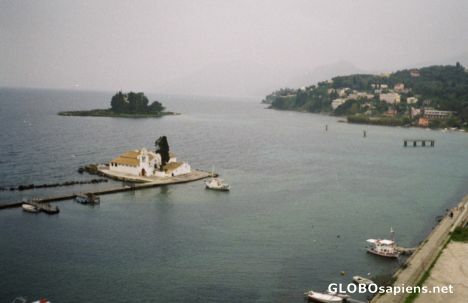 Pontikonisi island is home of the monastery of Pantokrator. The white staircase of the monastery resembles from afar a (mouse) tail. The island got its name from this architectural (perceptual) quirk: Mouse island.